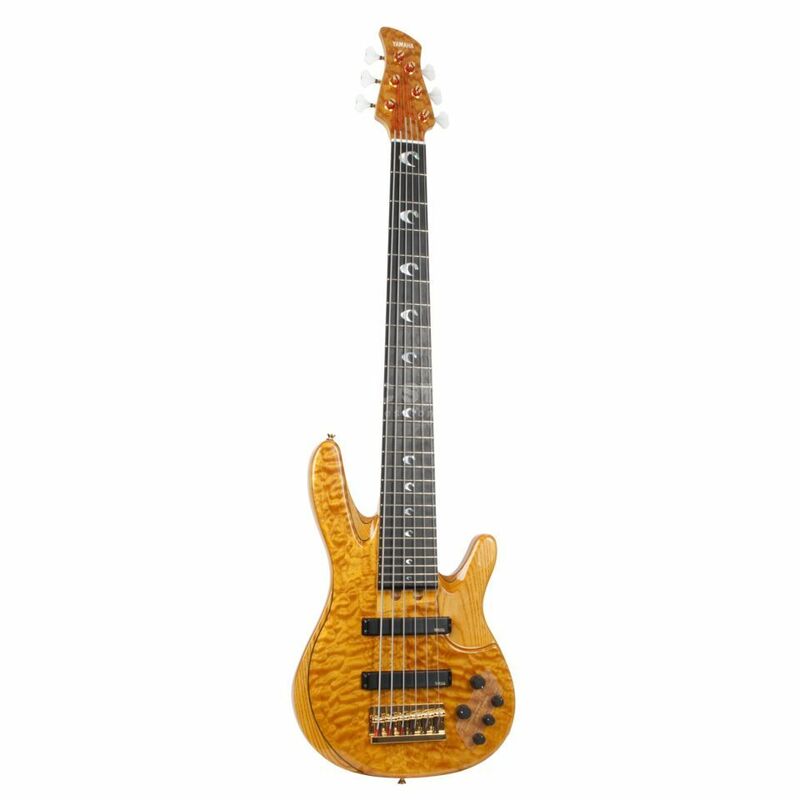 The Yamaha TRB-JP II 6-String Bass Guitar Amber is a John Patitucci signature 6-string bass guitar, featuring a figured maple ash/alder body, with a bolt-on maple neck, and ebony fingerboard, with an amber finish. Even the first Patitucci Signature-Model was a dream. With the new version, the TRB6JP2, Yamaha has managed improve on the already perfect performance of the original classic. Great new features include a newly designed preamp with parametric mids control, cool new colours aswell as a 26 fret neck with a 35 inch scale for excellent playability. With a body made of 7 layers of exotic hardwood and 5 layered neck of Maple/Mahogany, this is the first choice for bass guitarists that want more than just to play basic tones in eighths (of course this is not forbidden on the TRB6JP2).